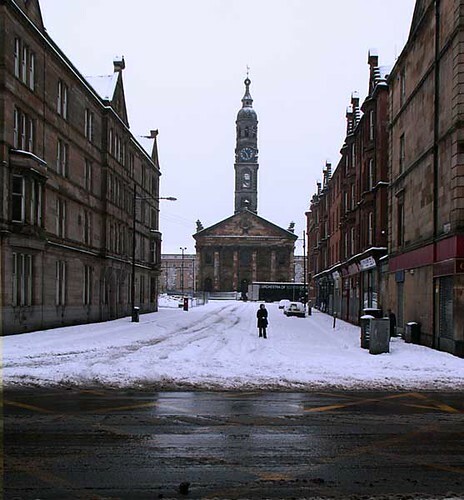 I have 23 St Andrew's Square as an address in my research. It pops up several times in my documents, but when I tried to find it on the 1913-1914 Valuation Rolls, it wasn't coming up. I wonder if anyone knows whether it was known as something else, and I would also like to know if it still exists and if there is any history associated with it (the HG type). Sorry if this post is in the wrong place...move it if necessary mods! No, definitely Glasgow. 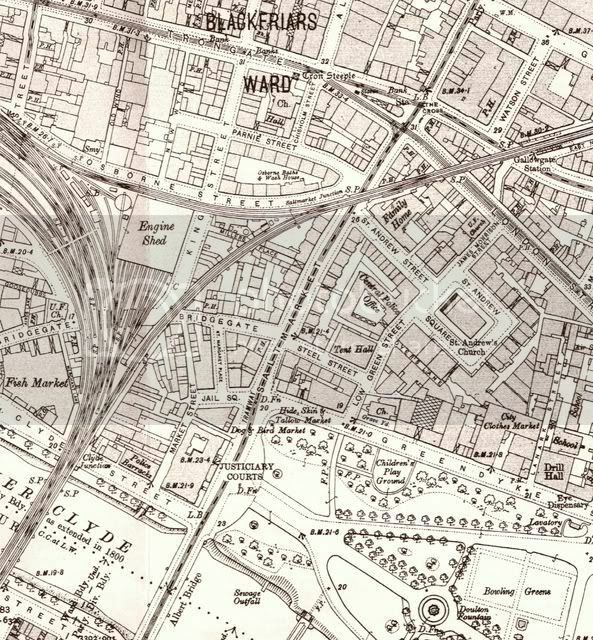 In 1923 it appears to be part of the Calton district. I had a large family living at that address between the years 1916 and 1924 at least, so I am quite curious as to exactly where it is! 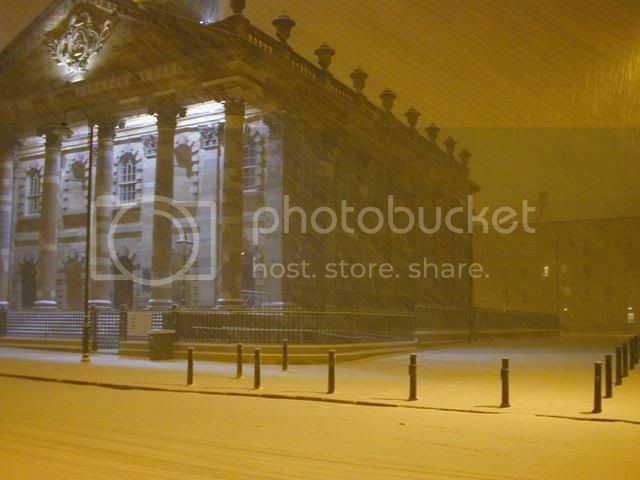 I found a picture a long time ago which I have labelled St Andrew's Square on my pc, so it must have been named that, wherever I got it from! Hmm, looks like a google will answer my own question! So it looks like the area does indeed still exist, but the building my great grandparents and extended family lived in is most probably gone. I find it amazing that they lived so close to such an illustrious church (in their day) although the affluence of the area was well gone before my folk got there. Anyway, I hope this posting isn't a complete waste of time and that it is interesting for some! Thanks fossil, I would appreciate it. As I said to HH last Friday Part of the square is a "fake" but its hard to tell the difference. If Crusty is on today he will explain. I have pictures but on the laptop the noo. Fossil is referring to the inaugural "the Other Place" night out that we attended last Friday, it was held in Cafe Source, a pub located in the basement of St. Andrews in the Square. 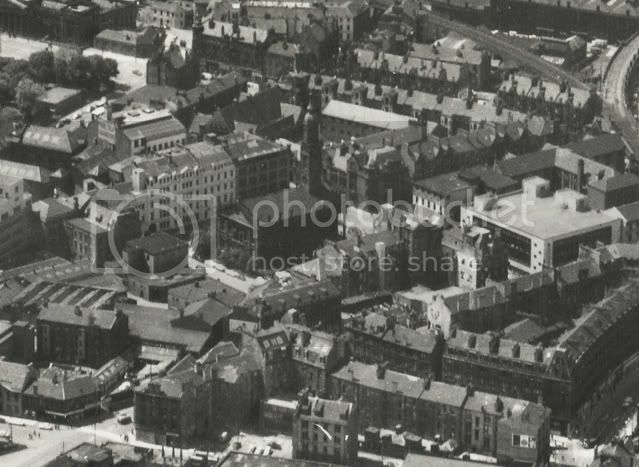 This pic was taken a couple of months ago, your old pic shows either the left or right hand corners of the square behind St. Andrews church. As Fossil states, we'll get better pics of the buildings when anyone is next in the area. From:Godfrey / High St. You should be able to pick them up on Ebay or buy them direct from the site, they are very cheap. The coloured edition published by: RPA Smith Street Plans, 4 Rivaldsgreen Crescent, Linlithgow, EH49-6BB. I got mine from Borders Books. 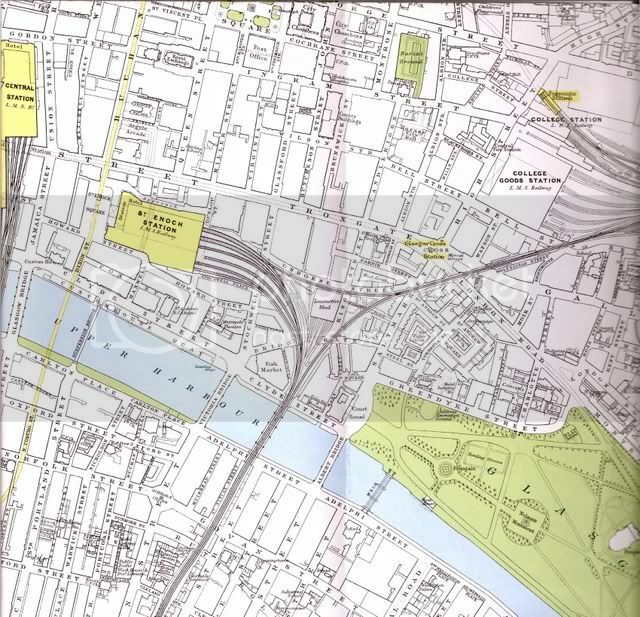 SG6-SG15 Plan of Glasgow, 1929 - "Map of the County of the City of Glasgow and the Vicinity", compiled from 'actual survey' by Thomas Somers, Master of Works and City Engineer, 1929. Nine large sheets (size 48 inches across by 38.5 inches), available folded only. Scale - 12 inches to 1 mile. 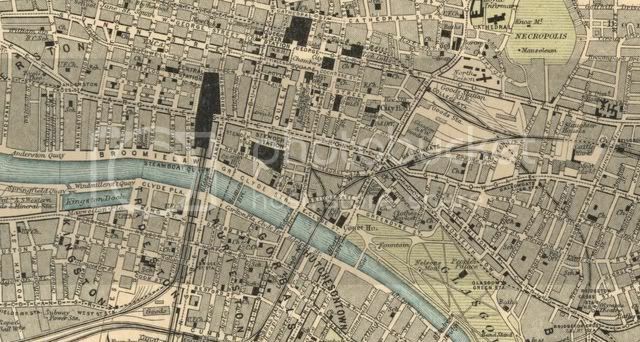 A superb, detailed record of Glasgow in the inter-war period, showing old street, railway and canal layouts, former street names, old industries, etc. Engraved and printed by John Bartholomew & Co.
ninatoo wrote: Hmm, looks like a google will answer my own question! There's this link too for the Church. The flats in the Square are nice - several of them have lifts! Fossil wrote: Part of the square is a "fake" but its hard to tell the difference. If Crusty is on today he will explain. 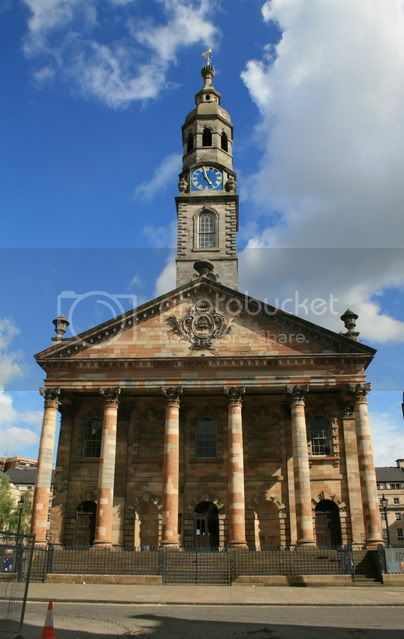 Until Fossil pointed it out, I was under the impression that all of the buildings surrounding St. Andrews church were renovated originals, info is thin on the ground and on the web, but that is more down to my poor search skills than anything else. I cant wait to get up there at the week-end. 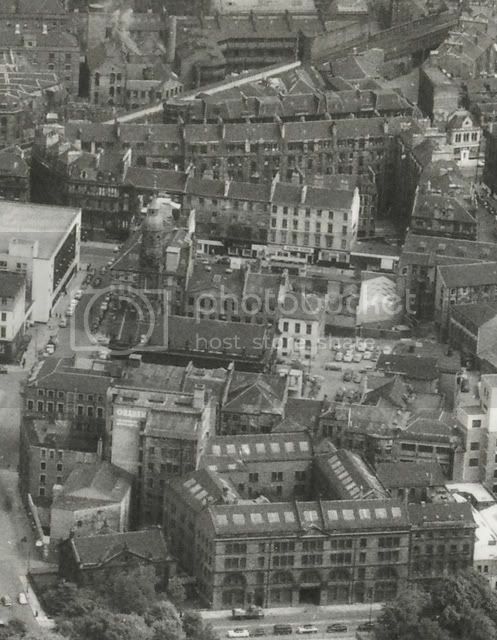 The success of the Council's initiative for the Merchant City, allied to the steady progress in the East End, made it opportune to re-introduce appropriate housing of a high quality. This was a major six phased programme involving restoration and change of use of existing historic buildings, new housing developments and landscaping with finally the £3.5 million restoration of the church. Timescales for discussions and planning approvals were extremely important to ensure the best quality of materials, especially stone, to the front elevations of the new terraces. This was tied into grants being available from the Glasgow Development Agency City of Stone Budget. The area required to be landscaped as the housing progress and was occupied, therefore decisions on appropriate hard landscaping needed to incorporate a degree of flexibility to accommodate the proposals for the church. Two remaining Listed Buildings, the Tannery and the Orphanage, formed pavilions at either end of the terraces. The new build terraced housing retains the Georgian scale and elegance, as it was felt important not to lose the effect of the piano nobile, although this was only accepted by the developer after much discussion. It was also important to retain an elegant window pattern of Georgian proportions although the requirements of the Building Standards with respect to windows was conceded by installing tilt and turn instead of sliding sash and casements. he's in rome for a few days, so we will be kept waiting!!! I am glad that my original query has ended up creating some interest in the area, and also some remarkable photos and links...thanks to all of you for that! 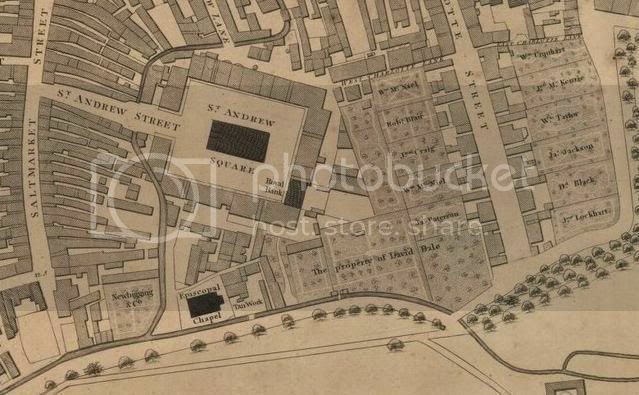 I finally found the place on the Valuation rolls...it is listed as St Andrew Square. I found it in the end by just typing sq. Number 23 was a lodging house apparently, yet my family members stayed there for at least ten years.